Ithaca, NY. Home to very cold winters, and wonderful style. 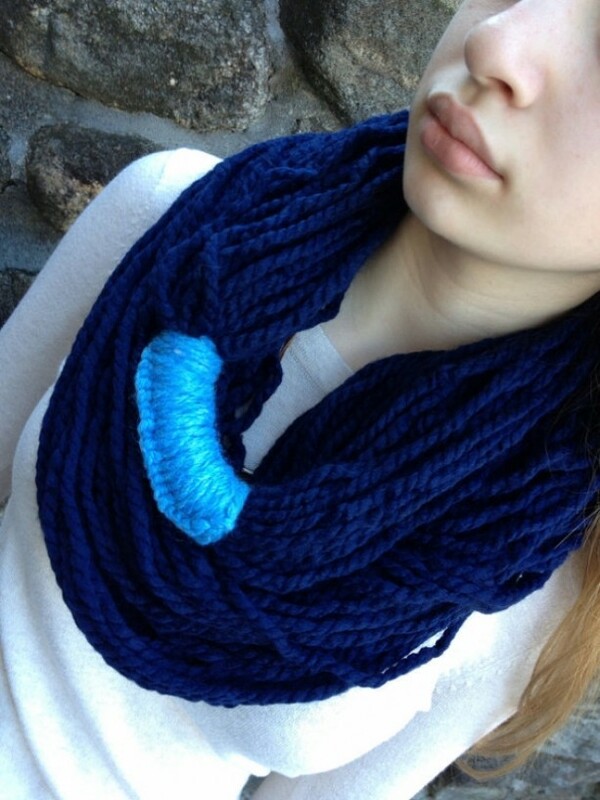 This infinity scarf reminds me of my college days spent there...walking the hills and feeling the wind whip off Cayuga Lake. 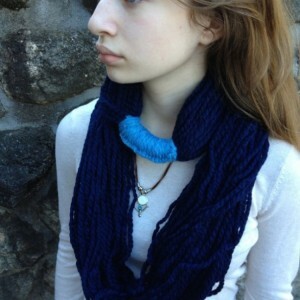 Ithaca is an infinity scarf - no fussy ends to worry about. 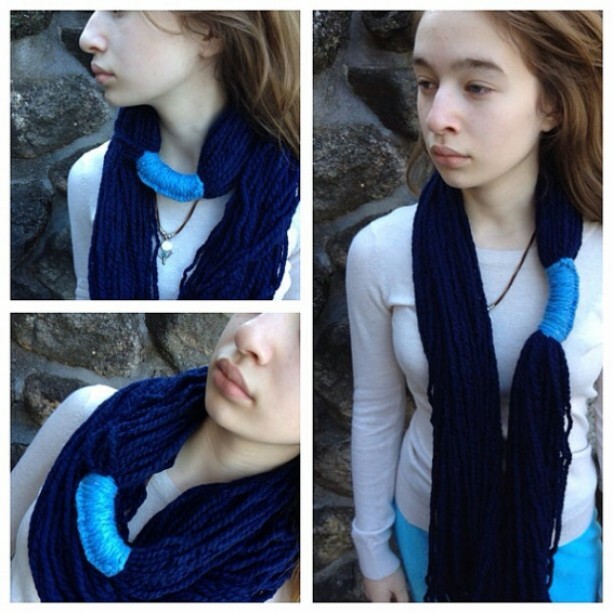 When it is really cold and you are outside, double it around your neck to keep you super warm. 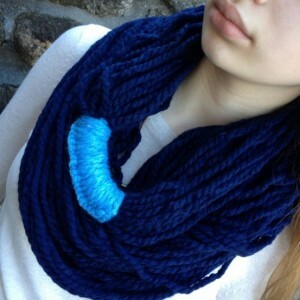 Once inside, release the loop and let it hang for a fantastic winter fashion statement piece. Ithaca was created by hand, with a gathered crocheted cinch in contrasting color. 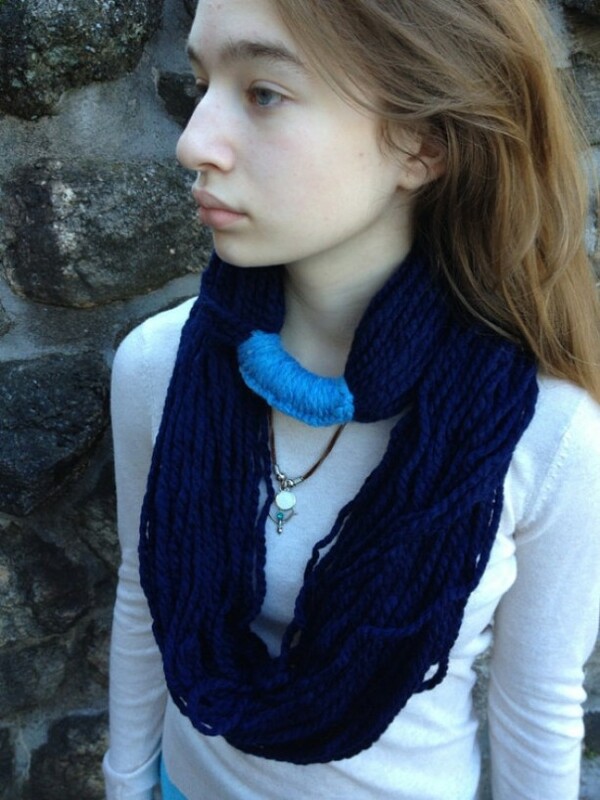 Made from a wool/acrylic blend yarn, Ithaca is easily customized to your color choices. Convo me for something different than what is shown here!